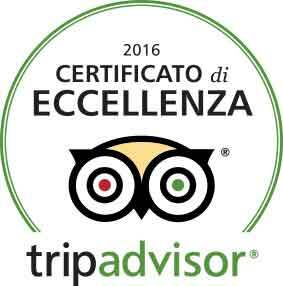 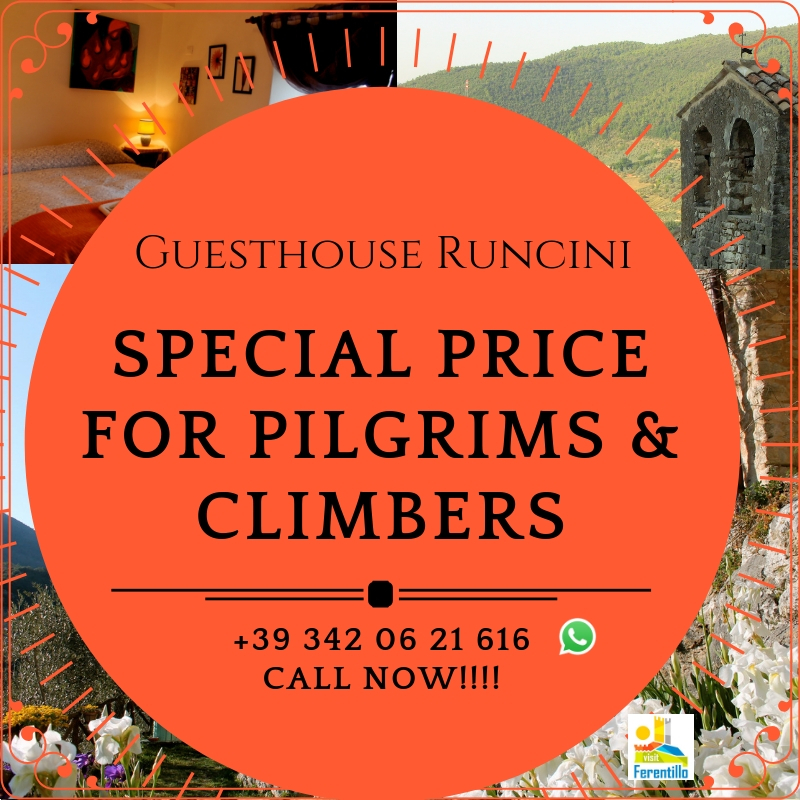 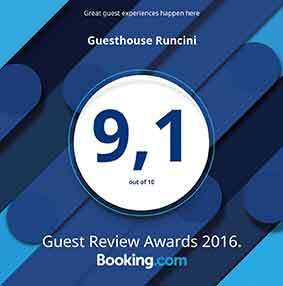 Contact directly the Guesthouse Runcini, take advantages and amazing offers reserved for you. 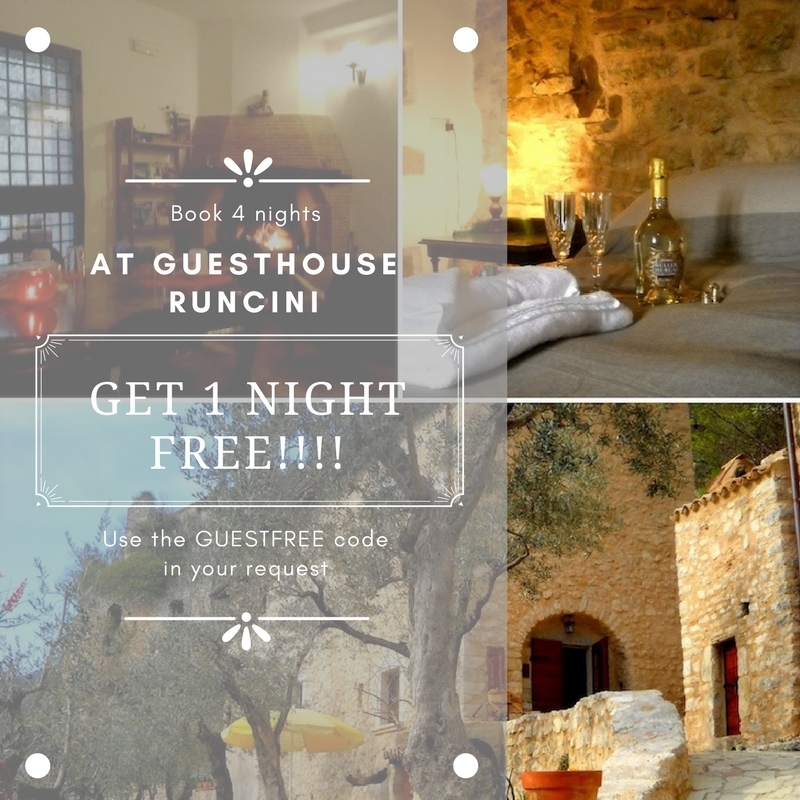 The Guesthouse Runcini presents you with active promotional offers to allow you to enjoy an unforgettable stay at very advantageous prices. 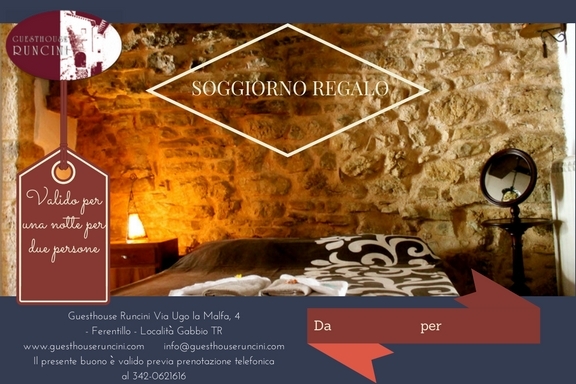 20% discount on the basic rate; book 4 nights + 1 night free; Gift Vouchers for your loved ones.